Foot and Mouth Disease (FMD) outbreak in UK 2001 is analysed with logistic equation models showing how poorly the outbreaks were controlled. Includes an historical review of the disease as it unfolded. An outbreak of foot and mouth disease (FMD) occurred in the United Kingdom in February 2001. Logistic equations have been commonly applied to the study of population dynamics. How well do they apply to growth in foot and mouth cases ? Are they useful in predicting the impact of an epidemic, or reviewing it's control ? How do they compare with the more complex epidemiologist's models used by the UK Chief Scientist ? (jump to answer if you're impatient)? Why did this outbreak last so much longer than the 1967 one ? This page was updated daily through the course of the FMD outbreak. Modifications are dated. Some revisions in early material were made as new information came to light. Last revised 6th October 2001, first published 12th April, 2001. With the benefit of hindsight, it can be seen that a logistic model fits the outbreak data very well in the initial stages where there was an explosive growth then sharp decline in daily cases reported. But as the new cases per day fell below 5 per day, there was a period of almost constant growth. This suggests some complacency or level of acceptance crept into the fight against the disease in what should have been its end-phase. As a consequence, perhaps more than a 1000 culled farms could have been saved. The simplest model of growth assumes that a population grows in proportion to its size. Both the birth rate and death rates in such a model are proportional to the population size. This results in a never-ending exponential growth. Fortunately, reality is usually different. While initially a population might appear to explode exponentially, at some point it will begin to exhaust resources, and death rates will grow more quickly than in proportion to the population size. The logistic equation is the simplest model for growth that allows the growth rate to reach zero at some point in time. This is achieved by assuming that death rates grow in proportion to the square of the population size (for the mathematicians, it uses the first two terms of a Taylor series expansion, see here for more details). Consider an example with a birth rate of 20% of the population, and death rate of 1% of the population-squared: with 10 infected farms, you might have a potential to have 2 new infected farms (20% of 10), but one of these is prevented (1% of 10 * 10) by controls. With 20 infected farms, the potential is to have 4 new infected farms (20% of 20), but all 4 are suppressed (1% of 20 * 20 = 4). Under these assumptions, the population will grow to a particular limit at which the birth rates and death rates match; this limit (or asymptote) turns out to be the birth rate divided by the death rate (see Logistic equations for a more mathematical treatment). The Logistic equation models growth of populations in which a predator will limit the growth of the target population (the prey) - and is sometimes called a predator/prey model. See "The Refractory Model: The Logistic Curve and the History of Population Ecology", Kingsland, S., The Quarterly Review of Biology 57, 29-52 (1982). for a good discussion of its history and applications to population growth problems. But the logistic equation finds wider use in describing many situations which become limited by supply of resources (a common use of the word "logistics"). It has been used successfully to model such things as the progress of electrification of the USA, video recorder sales, and many technological advances. While there are a number of predator-prey relationships at work in FMD, in this simplified model MAFF/farmers are the predators, the virus is the prey. Or more specifically, infected farms are the prey, as data on individual animal infections are not available. The death rate is caused by culling, movement restrictions and similar treatments. But culling could be restricted by lack of manpower for detection and disposal of infected animals, or the inability to supply enough equipment (like captive-bolt pistols) for the required levels of culling. Farmers faced by FMD threats should be interested in seeing that controls are put in place that bring the population of infected farms to a limit like the logistic model predicts. The statistics from the UK foot and mouth epidemic can be tested against these models to see if this is happening. The results of this could be useful in monitoring and correcting the strategies being used to control the epidemic. Considering a snapshot of the FMD data, as in Figure 1 below, suggests a logistic model suits the data quite well, at least up to 15th May. After 15th May FMD control deteriorated dreadfully, see the straight line trend in Figure 12 below. The curve labelled Actual is the Actual Confirmed Daily Cases total (dark blue line), as reported by the Ministry of Agriculture Fisheries and Food (MAFF) [now DEFRA] on its web site. It fits with the Logistic Fit predicted data (magenta line), suggesting a total of 1580 plus or minus 23 cases would occur (see the left-hand Total Cases axis, as at 20th May). The brown line is the number of Confirmed Daily Cases (i.e. new cases each day) plotted against the right hand New Cases axis, and the light blue line is the Predicted Daily cases. The standard error of the estimate (S.E.E.) of actual cases is just 23 - barely one percent of the predicted final value. It's clear, however, that beyond 15th May, the logistic fit is weakening. In fact, from 15th May to around 9th June, a straight line fit performed better (see Figure 12 below). The under prediction is discussed further in 4th May comments at end. At 8th May, it was looking very reasonable that there might be fewer than 1572 cases, and it's worth asking why was it allowed to go beyond this ? For comparison, a best Exponential Fit curve has also been plotted on Figure 1 above, at least until April 16th after which it goes off the top of the chart (the exponential curve is also changing by the day). The logistic curve is clearly a superior model. It will clearly get worse as the epidemic tails off, and hence will not be maintained for data past 2nd May. The daily confirmed cases total from the 1967 outbreak has also been shown 1967 Daily Confirmed Cases (grey) curve in Figure 1 above (the date scale for this curve has been left out to avoid clutter). The 1967 curve shows it growing more rapidly and to a higher peak, but also shows it dying ought more rapidly; it shows now evidence of the virtually constant daily case rate evident from May 15th onwards. It's one thing to come up with a nice looking fit. That's 20/20 hindsight. The big question is how good is the model for prediction ? One way to look at this is to take a look at what was predicted at some point back in time. Let's choose the 28th March, so it can be matched with MAFF predictions. Figure 2 below shows the logistic fit based on data points to 28th March only (but all points up to 1st May have been plotted). This predicts a maximum daily cases of 43 on the 27th March - compared to the maximum of 50 actual daily cases reported by MAFF for 30th March. The fit for the period data was available looks good, but beyond 28th March, the fit is much weaker. Why has the logistic model become a weaker fit ? Is it caused by a failure in the control effort ? A reason might be that efforts to control the epidemic did not scale up to produce the death rate found in the logistic fit at 28th March. That the army was deployed to assist MAFF about 12th March supports reasoning that suggests the handling of the epidemic was deficient. Before concluding that the control efforts weren't effectively scaled up, let's investigate the logistic curve fit further by back-tracking to see how well a logistic model might have predicted the limit as the epidemic unfolded. Figure 3 below shows the asymptote predicted by logistic fit curves calculated as each day of data is added. Data from 21st Feb to 28th Feb has not been plotted - you need a minimum of 3 points to get any meaningful answer (there are three unknowns), and the prediction for the 24th - 28th February gives a purely exponential expression (no asymptote, d is zero). If you were trying to fit a model with more parameters, you'd need even more data. If some control measures were put into place as a result of the first confirmed case, it took 8 days for any measurable death rate to appear. This lag of 8 days may be evident where other policy changes occurred (such as start and end of ring cull) - and there will be such evidence discussed later. The daily growth in the asymptote or Limit of the logistic prediction (red line above) shows it was not particularly stable, at least until 29th March. This is in spite of the Standard Error of the Estimate being very good (blue curve, plotted against the right hand axis). The total Confirmed Cases at each date is also plotted, to put the asymptote prediction into context. For example, at 16th March, the best logistic fit would have predicted a limit of 392 confirmed cases. But just 4 days later this prediction was exceeded; in spite of the fit appearing good, reality showed it wasn't a very useful model. It's interesting to consider why. The death rate is decreasing more than is the birth rate, so the asymptote b/d is increasing. Readers who're familiar with the S Howard [HOW0111000] paper will note similarities between the curve for b and [HOW011000]'s Figure 4A - which is similar to the basic reproduction number (R0) in the Imperial College's April 2001 paper relied on by MAFF.. The birth rate decreasing suggests that the spread of infection is being limited. Perhaps movement restrictions and disinfection are working, provided we believe that confirmed cases properly reflect infected animals and not just the rate at which they are being detected. But the fall in the death rate of infections suggests that the infections have become more virulent - they're surviving better. Is this because, as the scale of the problem increases, disposal of infected animals is becoming less effective ? Or does it support the possibility that detection is getting less effective - so that infected animals live longer ? One reason infected animals might be living longer is that some farmers were seeking appeals against neighbour culls in unworthy cases - thereby delaying the culls. On 6th April, Agriculture Minister Nick Brown called for more cooperation from farmers in using the appeals process responsibly. If detection and treatment of cases is getting less efficient due to the scale of the epidemic, will it improve as the number of new cases per day falls off - giving a higher death rate ? Or is the declining death rate due to some factors not being controlled at present, perhaps even factors arising at farms considered properly treated but with some continuing risk ? A notable difference with this application of regression of a logistic model and usual textbook cases is that there are several predator-prey relationships. Primarily, the FMD virus is a predator that preys on livestock. Farmers are predators that prey on livestock, mainly for the purpose of marketing their produce. But in the face of the disease, government and many farmers become predators that prey on diseased livestock. Some farmers, in their greed for a fast dollar, have been reported to flout movement restrictions - thereby assisting the virus to resist its predators. So attempting to wrap all these relationships into one logistic equation is a simplification. Whether this is an over-simplification will be revealed by the goodness of the outcomes it predicts. It might be expected to work if it's fair to "average out" all the details. Human predators have a big influence on the birth rate of infections - with livestock transport most likely being responsible for this outbreak developing in numerous distinct areas of the UK (compared to mainly one in the 1967 outbreak, see 1967 comparison paper). Some influences of human behaviour might be revealed if we take a closer look now at what the predictions tell about the first weeks of the outbreak. The initial population size is a parameter estimated by the regression model, and it suggests that there were many undetected cases (17) at the time of the official outbreak. The logistic fit has been plotted in Figure 5 with a logarithmic vertical axis, to highlight the early period. The logistic fit using data to 12th April has to back-track 3 weeks before the official outbreak date to fall to an average 1 case per day. It suggests that was the real outbreak date was sometime before 28th January. Remarkably, the Independent News reported on 3rd April that Mr David Owen, Chief Executive of Farmers First PLC, has evidence that antibodies were found in Welsh sheep exported to France on 31st January - the same date that the 12th April model suggests should have produced an average of 1 confirmed case per day (there may have been one every second day etc.,. before this). Is there an alternate explanation ? Is this just a chance good fit ? Suppose we had been analysing the data available at 4th March. We'd have noted an outbreak date very close to the official data, and the standard error of the estimate would also have been very satisfyingly better. But the passage of time would prove this estimate and good fit to be poor. Why is this ? Compared to fits made with another month of data, after 4th March the "birth rate" (rate at which new potential infectious sources appeared) halved, but the death rate (rate at which these potential infectious sources were neutralised) fell by a quarter. Entering this less infectious but even less neutralised phase has the apparent consequence of increasing the total number of cases by a factor of ten from around 150 (green curve above) to near to 1400 (magenta curve above). It shows the importance of looking not just at the sprad (birth rate) of new infections, but also the rate at which they are killed off. The adverse increase in total number of cases invites the "what if" questions. What changed to weaken control so much ? Did the early efforts to fight the disease in fact cause a more rapid spread ? It's hard to believe isn't it ? Movement restrictions ought to have reduced the birth rate of infected farms, but should not have effected death rates (unless perhaps they hampered access by slaughter squads etc.,.). Otherwise, you'd have expected the death rates to ramp up as the defence mobilised. The effect on death rates may have been just due to losing control of the epidemic as it grew in scale, or more specifically failing to detect and confirm cases accurately in the first two weeks. Of course, the prediction of an earlier outbreak could just be an illusion - a chance fit to the data. But other evidence like that from David Owen's claims give support to an earlier outbreak date, that corroborates the model's prediction of an early date. Later evidence from MAFF also backed up the early outbreak of the logistic fits. The 1967 Comparison cabinet paper makes it clear now that the outbreak was well advanced by Monday 19 Feb "when a veterinary inspector at an abattoir in Brentwood, Essex, suspected foot-and-mouth in pigs being held for slaughter". It reports that infected sheep were "sent to Hexham market on 13 February", which infected other sheep that were then transported widely across England. The case taken to Hexham market would have acquired its infection up to 2 weeks before that date. So the source of it's infection must have been infected up to 2 further weeks before that. This evidence was not available when the logistic fit was done. Hence, a logistic fit that points to an index case in late January is looked a meaningful fit - not just a chance fit or simple hindsight. In a highly dynamic situation at the outbreak of the disease, where measurement, interventions or control actions take time to kick in, the model parameters could be changing. The early data reports might have shown higher growth due to late discovery of infections (a catch-up effect - it was a growth in discovery, not a growth in actual cases). Nevertheless, by 10th April, the asympote predictions had been quite flat for a week, and the logistic fit was looking a very good explanation converging on a limit of around 1380 cases. News stories at this time were claiming a victory, on the basis of the evidence that new daily cases had been falling for nearly a week. But then came a new burst of cases on 11th to 13th April (see Figure 1). What was happening ? Was vigilance falling ? Was the outbreak escalating because of death rates falling as a consequence of farmers using court appeals and other action to frustrate neighbour ? See Peter Kindersley's site or Jonathan Miller's Sunday Times article of 19th April (was "http://www.whale.to/m/fmd65.html") for details of the opposition. Or was it just a pre-Easter flurry of activity ? Given the fall on 14th, were people inclined to find and report things more quickly because of the Easter Holidays ? By 2nd May, it looked like the epidemic was still in decline. With hindsight, the lull around 7th April might have been the delayed effect of the 3km cull being introduced some 8 or 9 days earlier. See later explanation in analysis of [FERG120401] paper. But also note the low confirmed cases of 26th April, when British Prime Minister Tony Blair visited Cumbria (the FMD hotspot); it's almost impossible to tell if these changes are random sampling errors, or due to other imponderable factors. 'My correspondents saw Brown’s claim that everything was under control as just another pathetic Maff lie; and after Blair delayed the general election and took personal command they noticed that nothing changed. Soldiers moved in to the culling fields, to be appalled at Maff’s incompetence. Every day at a Whitehall command centre, a mole revealed to me, top civil servants met to plan their campaign against foot and mouth. The meeting was conducted standing up, supervised by a brigadier. This was the "show and tell", where Maff was forced to fess up to its daily disasters (eg slaughtered animals polluting water supplies) as officials from other agencies bit their tongues in disbelief. "Come on Maff, get your act together," barked the irritated brigadier. Difficulties in detection and accurate reporting may well be undermining the accuracy of the logistic fit, and preventing it homing in on the parameters of the underlying disease processes. Detection failures could explain the apparent fall in the death rate (it's hard to kill what you haven't detected). Undetected cases may be allowing the infection to spread more extensively, and would make it difficult to predict the ultimate limit to the epidemic. No longer is the incremental death rate varying in proportion to the square of the size of the population, as assumed in the logistic equations; it may be a less simple function, like a smaller power of the population size e.g. proportional to P1.5, P1.2 etc.,. (another degree of freedom to the model !). instead of , giving a higher limit around 1560 instead of 1420. The standard error of estimate is lower than the simple logistic model. But a quick check of previous days and weeks will show the model parameters are even less stable, change day by day also, and the death rate P exponent gets closer to the standard logistic curve's 2 as fewer recent points are included in the data. A P exponent of 1 is pure exponential growth - so getting results less than 2 isn't what you'd like. Ultimately, farmers would like the FMD epidemic to reach a limit - to behave like the logistic equation assumes. While new cases may be spread in proportion to the total number of infection cases, the elimination must grow in proportion to the square of the number of infection cases to neutralize the growth. To achieve this, infections have to be reliably and speedily identified, and followed up with prompt elimination. The task force working on detection would need to grow in proportion to the number of confirmed cases, as would the training and deployment of slaughtermen - a very challenging logistical exercise. Managing access restrictions and cleanup of infected properties would be even more daunting. In the week to 1st April, the numbers needing to be culled would have to be double that of the previous week.MAFF have had difficulty reporting cull rates. By 14th April, it reported that the average daily slaughter was 19,000, 31,000 and 34,000 for the three weeks ending 1st April. There wasn't even a 10% increase where 100% was needed, and disposal rates were even more dismal. Unless they've become unusually good at targetting just the infected animals, they haven't got it under control. This might be happening fortuitously if, under stress, the slaughter squads are still reaching the critical region - argued by some to be within 1 to 1.5 km of the index case ( see Peter Allen's comments). The weakening in the logistic fit, though, suggests they aren't quite getting there. Is it any wonder ? Without more reliable feedback of cull numbers, isn't the challenge of directing an effective campaign being left more to good luck than to good management ? The logistic model highlights that to control the extent of the outbreak (the limit to the confirmed cases population), you need to control two factors: reduce the rate of infection spreading (birth rate of new cases), and increase the rate at which infected sources are eliminated (the death rate). The elimination of infection sources (animals and farms from which they come) must be achieved at least in proportion to the total confirmed cases. Some proponents of vaccination are responding to perceptions of failure of the culling policy, especially in relation to safe disposal of carcasses and public acceptance. The declining daily cases suggest the policy is not an abject failure. Other experts argue with the details of the culling policy, arguing that it is wasting resources by being poorly targetted. The recent weakness of the logistic fit supports suggestions that the cull is not being handled most efficiently - and poor targetting could be part of the reason. But to decide that, you'd need much more data than has presently been made available, and perhaps more than what anyone has reliably compiled. Results from this research group featured prominently in the Chief Scientists's analysis, and MAFF press releases in late March, April and May. [FERG120401] presents a highly detailed mathematical model which some readers will find mind-boggling or obtuse. It aggregates the diseased population of animals into units of farms (herds) in up to 5 states of infection. It then models how disease might spread from farm to farm under various control scenarios, represents at least 9 parameters of the disease transmission process and makes a large number of assumptions and simplifications. Despite this impressive effort at precision, there was one parameter, rI, that could not be estimated from the available data. This parameter related to the change in infectivity that might occur at the time a farm reached reported status. It was dealt with in the paper by discussing the sensitivity of outcomes to it. Some experts claimed the model needed even more complexity. For example, that the rates of spread of infection were significantly different in the three main species (pig, cattle and sheep). And that there were several distinct epidemics occurring that should be modelled independently. But the inability to estimate rI suggests there might not have been enough data to get any more meaning from adding further complexity. You could be forgiven for thinking they'd already stretched the data a bit too far. Figure 6 below is [FERG120401] Figure 3D. It provides the predictions from Ferguson's model based on data at 28th March, 2001 (with upper and lower 95% confidence intervals also shown). Notes to Figure 3D report that "results for rI = 1 alone are shown here, since fit quality and resulting epidemic size varied little with the parameter". The lowest curve of [FERG120401] Figure 4A, for rI = 5, and mean time to slaughter of 12 hours, might contradict this; but that case seems to also indicate that becoming reported makes the farm 5 times more infectious and leaves you to wonder whether the cure that reporting invokes is worse than the disease. Did [FERG120401] really mean to say 5 times less infectious ( for example, because all the infection spread occurred before you could detect it ?). Also, reduction of the mean time to slaughter to 12 hours (post 31st March) doesn't fit the reports of delays increasing in slaughter and disposal times. On the evidence to April 20th, [FERG120401]'s March 28th Best Fit model appears to drastically overestimate the incidence of confirmed cases (by almost 3 times). In contrast, a logistic curve fit on data to 28th March predicts a maximum daily cases of 43 on the 27th March (see Figure 2 above ) - much closer to the maximum of 50 which occurred on the 28th March. The logistic model of 28th March under-estimates the asymptote, as is clear from Figure 2, and Figure 3. This is likely to be evidence that subsequent to 28th March, controls were not applied in a precise logistic fashion (death rate not proportional to square of confirmed cases). But it is nonetheless a much better fit than the [FERG120401] fit at the same point in time. Did all the complexity in [FERG120401]'s model achieve something useful, or does it just get in the way ? It has lots to say about altered control scenarios, that may need a complex model to explain, but if the model doesn't predict what happened, how meaningful is it ? Does a model explain anything if it can't predict ? At the better resolution available in Figure 7, some revisions in the previously published confirmed daily cases data can be discerned. Figure 7 has plotted a point near 24th March with about 60 new confirmed cases ([FERG120401]'s ( if you look really hard, Figure 3A also has a point with 60 confirmed cases, around 24th March). This point disagrees with the MAFF daily situation report graph dated 19th April, that shows a max of 50 and figures near 45 around 24th March. Figure 8 above shows KING200401's Daily Confirmed Cases (measured from Figure 7 black dots). Also shown are Ferguson's 17th April predictions estimated from KING200401, MAFF's Daily Confirmed Cases at 19th April, and the best logistic fit (as at 21st April). Data points have been updated up til 27th April. Data for [KING200401] curves has been scaled off Figure 7, and due to the coarse scales used in Figure 7 isn't brilliant quality (promise: send me the source data files, and I'll update this within 48 hours). And nobody has checked it, but lil' ol' me (and maybe now you !). But it is good enough to indicate some major anomalies (green highlighted points). Is MAFF or Ferguson right ? If anyone from MAFF, the Imperial College, or Prof King's corner is able to verify which data is correct, or offers any explanation for it by email to me , I'll publish it here within 48 hours. Within hours of publishing this, Andrea Jones sent me a link to her graphs, http://www.hjones-sons.co.uk/graph.htm which she compiled day-by-day from MAFF's web page. The confirmed cases data looks different again (although it doesn't quite make Ferguson's peak of 60). Reality Check#1: Ferguson's model predicted approximately 24 daily new cases for the 22nd April. The logistic fit from 17th predicted 9 (with S.E.E. 12). MAFF reported 13. Anybody want to bet Ferguson's 17th April model's 21 cases for 29 April 2001 will be closer to the mark than logistic's prediction of 4 ? Reality Check#2: there were 3 confirmed cases on 29th April. Logistic prediction of 4 takes the money from the Ferguson prediction of 21. Ferguson's data is truncated at 29th April, and in any case the relaxing of the cull undoubtedly changes the parameters depicted in his 17th April model. So we can't get any more predictions from his data. At the end of the experiment, logistic model wins 2-0, a victory for simplicity. From Figure 8 data, [KING200401]'s confirmed cases can be compared against it's Ferguson model fit (orange line from Figure 7) using the Square Root of the Average Squared Deviations a.k.a. Standard Error of the Estimate (S.E.E.) as a figure of merit. S.E.E. was 8.2. Between MAFF's confirmed cases and Ferguson's model, S.E.E. was 7.77. Hmm. Did the model have better data than is shown in [KING200401] ? Or is it time to think GIGO : Garbage In - Garbage Out ? Now compare MAFF's confirmed cases and the logistic model - the S.E.E. is 5.88. On this criteria, it is a noticeably better fit; the SEE for Ferguson's model is 30% higher (and I could do better with another parameter for the death rate P exponent). Doesn't your eye confirm it too ? By 27th April, the logisitic curve SEE was 6.08, and Ferguson's model was 8.2 some 34% higher. What other questions does the revision in [KING200401] invite ? Given the huge change in the peak confirmed cases compared to Figure 6, it's reasonable to ask what was changed after 28th March ? Has it now got a better rI estimate that's very different to the value of 1 assumed in Figure 6 ? [FERG120401] discusses culling strategies based on distances from index cases (see especially figure 4B and 4D of the paper). The new model is hard to reconcile with this, referring to "neighbour" culling. Whatever that means isn't precisely clear but maybe it is not the same thing. Notice the downward bump in the model just after the 29th March ? Was it the kicking-in of the 3 km cull started in Northern Cumbria (some uncertainties: neighbour cull announced 25th March, 3 km cull in NC on 30th March, how many days before it really happened, did they try to model that, more parameters stetching the data even thinner etc.,. ) ? Or maybe the germs got a little tired after maxxing out ? Seriously, there's also a subtle kink in Ferguson's model fit around 4th March. Was there a discontinuity in the model at this time (for example due to some new strategy brought into play) ? The 4th March was identified in Figure 5 above as one where something interesting may have happened. What was it ? As noted earlier in discussing Figure 3, it appears to take 8 or 9 days for a change in controls to be reflected in the confirmed cases counts. The movement restrictions were introduced about 23rd February. It may have taken until 4th March for their effect to bight. [FERG120401] states that there were changes in R0 due to the movement restrictions, but does not identify the date at which this change was applied in the model. So maybe that explains the 4th March kink. Now what about the 29th March dips ? One possibility has been suggested by James Annan: that this is the date the ring cull kicked in, and the dips are the effect of the ring cull introduction. The ring cull might have produced a step fall in the count of confirmed cases, by taking culled farms out of the count that were infected and otherwise on the path to confirmation. But [FERG120401] does not discuss why a culling step change should be evident only with the most extreme rI cases, and not for all the cases depicted in Ferguson's Figure 4A. Ring culling was announced around 23rd February, only 6 days before. And if you look at the real data around 29th March in Figure 1 - there does not appear to be any significant dip (the next sustained dip after then is 10th April). Nice explanation, but doesn't match reality too well ? Figure 9 - Ferguson's Figure 4A - Predictions of Alternative Control Effects. Let's hope all the details get published soon. It would be even more convincing to see another researcher replicate the Imperial College's results. In the meantime, does it look any better a prediction than the simpler logistic model ? Which model predicts next week's outcomes better ? When it comes to forecasting the daily confirmed cases, the score is 2-0 to the logistic equation. The logistic model can't say much about how to fine tune policy details to work best in the future. It can look back and say that you've not done as well as is desirable (see the gap between the 28th March model and latest data), and understanding its good fit compared to complex models can give some insights into broad guidelines. Potentially, the more complex models could say something more about policy detail alternatives. But whatever they predict has to be seriously discounted by their proven poor prediction record. Isn't the proof of a scientific theory what it can tell you about the future ? At best, the complex model is giving the relative merit of the options; at worst, you should wonder whether the data and parameters have been so messed up that even the ranking of the options is not credible. A quasi-logistic model, with an additional parameter for the exponent of the death rate term in the differential equation, can predict somewhat better than the pure logistic equation - but perhaps only because the control efforts have been relaxed once the peak was passed. Maybe it's better to KISS, and to pursue the epidemic with full vigour during its decline. Professor King has been quoted (BBC News 20th April) as claiming the outbreak was fully under control, on the basis of the down trend in daily new cases. Brave predictions on the basis of questionable data ? Will these words come back to haunt him ? Maybe Ferguson's model has gotten way better, and maybe he really does have the best quality data. But it might be prudent to prove this by checking it's forecast for next week against reality before you get to thinking it's all under control. It might also be prudent to consider whether the trend in the fit of the logistic model might indicate that control has been less than optimal. There have been reports of census collectors breaching infection control guidelines. Goodness knows how many improperly trained tourists might have also flouted the rules over the Easter Break - it wouldn't surprise to see an escalation over the two week after Easter as this and other relaxations in the controls emerge ([FERG120401]'s model seemed to lack a parameter for people's stupidity, the logistic model aggregates everything like this into it's death rate parameter). As for the future management of the outbreak, the vital question remains: What is the least risk strategy: changing policy or refinement of the cull policy ? Are the data and models reliable enough forecasters to be useful in deciding this ? Or does it take too much time to decide this rigorously - so much that the show will be over before the answer comes to hand, with properly checked data and peer-reviewed scientific facts ? And even if you could get a certain answer, can you gain sufficient public support for a change for it to succeed ? Then think about what MAFF's liabilities might be if culling has been over-zealous ? There might still be squillions for the lawyers to make out of it, once the epidemic is put to bed. On 26th April, the Minister Nick Brown (see http://www.maff.gov.uk/animalh/diseases/fmd/news/minister.asp) announced to Parliament a relaxing of the cull strategy. Thereby saving Phoenix, a calf that was found near its slaughtered mother in Devon, and who's owners had taken MAFF to court to prevent it's culling (see BBC news ). See the UKBA archive (thread subject Phoenix) to review the debate - not everyone believed the calf survived unassisted. By 27th April, MAFF was relaxing the movement restrictions in "provisionally free areas". Is it premature ? Just relaxing the cull will tend to produce a stepwise increase in the number of confirmed cases - because you will now be counting-in cases that were in the process of being confirmed (that were previously culled before confirmation due to the neighbour's property being culled). You will also, in some cases, be failing to eliminate incubating infections, or ones that haven't been detected that are capable of infecting other animals and farms. The poorer logistic fit from the 24th April may be reflecting this. Even though the fit is weakening, the logistic equation has proven to be a better predictor of the confirmed cases than the much more complex [FERG120401] and [KING200401] models relied upon by MAFF in defending it's strategy. It's interesting to see Andrew Heggie's animated graph (1200 Kbytes, no delay, or 760 KBytes, 0.5 sec per frame) of the spread of the epidemic. Up until day 10, the outbreaks were scattered fairly widely. But then a clear concentration developed around Cumbria, and to a lesser extent in two other areas. What went wrong in those first 10 days at Cumbria that let things get so out of control ? Even as we should be reaching the end of the epidemic, Cumbria is still the hotspot. Are these things still going wrong ? The rise in cases in Cumbria on 2nd May, and weaker fit of the logistic curve in the last few days, suggests that things may not be under control. The relaxing of the cull occurred 7 days ago, and evidence to date indicates such changes are taking around 8 days to show up in the confirmed cases. The next two days should tell the story - if MAFF don't come clean today (based on their kept-to-themselves infection reports) and admit things are going poorly again. Of course, MAFF may be feeling comfortable as they are still ahead of Ferguson's predictions, and, as they have highlighted, the the UK 1967 epidemic had a "long tail". Such a long tail did not feature in Ferguson's Figure 3D. It indicates a lack of aggression against the disease once it wanes. Do you accept this because it happened before, or do you evaluate the more aggressive option ? Ferguson's recent long-tailed predictions may be a self-fulfilling prophecy that could be more costly than an unrelenting pursuit. Or they might be a clever way to argue to a court that they'd done better than the expert's predicted, and hence have been duly diligent. For 3rd May data fit, the estimated asymptote is less than the actual number of confirmed cases (1538 v 1543). While well within the SEE, it is nonetheless indicative of a weakening fit. A fit of points from the 10th April gives an SEE of 3.1 and a prediction of 1613 cases. A fit from the 20th April gives an SEE of 2.8 and a prediction of 1628. These trends indicate that the control has been less than unrelenting. "The battle against foot-and-mouth is nearly over, Tony Blair is set to announce on Thursday. The prime minister's confident assessment, in his first formal press conference on the crisis, is expected to pave the way for a general election on 7 June. " The Prime Minister's actual statement later that day made no such claim, and warned "... it is not over yet. We cannot in any way be complacent and it is essential we remain fully vigilant." The BBC's perceptions are different to the government's, and may be sending an unhelpful message that encourages complacency. MAFF statistics for 3rd May show a new case was confirmed in Somerset, an area previously declared disease free. This is fairly direct evidence that the declarations of disease free status were premature, and that full vigilance had not been sustained. This corroborates the conclusions suggested by the logistic fits that there has been a slackening in the effort. In view of the slackening of the logistic fit, it's worth showing the better fit obtained where the death rate exponent is estimated (rather than 2). This gives a quasi-logistic fit as shown below, with an asymptote of approximately 1600, and a Standard Error of Estimate of 8.5 (half the pure logistic fit). Decreasing the exponent tends to bring some asymmetry in the tail of the daily confirmed cases that better matches the reality of declining vigilance. There have been allegations raised by Elena Goodman at (see Blair's 3rd May press conference questions and answers session) about under-reporting of confirmed cases. There does not appear to be any evidence in recent day's data that MAFF has revised its figures - but this is not to say that we won't see it early next week (to prove Nick Brown's explanation right). King, at the same conference, re-used Ferguson's graph (looks like Figure 7, updated with more actual data points). King said "... we have to be a little worried about prediction when we get down to very small numbers of cases." It may be hard to tell the difference between dodgy data reporting and random errors. The Figure 10 fit makes the last few days data look a little less like a resurgent outbreak but at no other time in the outbreak have we had six days go by without a decrease in daily confirmed cases. May 5th saw a downturn and 6th brought a further decline. By June 15th, FMD had not fully risen from the ashes, but with daily new cases showing no decline, it was far from eradicated. By 9th May, there had been 3 successive falls in daily cases, bringing a convincing match with the logistic model. If another outbreak occurs, it will in all likelihood be much better controlled, and will produce a different logistic equation - needing perhaps a bi-logistic model to describe the pattern; that's a way more complex story which hopefully can be avoided by maintaining the effort for a significant time after the last confirmed case. Five cases in each of the last two days continue to show that the fight is loosing intensity - even at a time when resourcing the fight ought be much easier. If you compare the latest logistical fit in Figure 1 with the 28th March prediction in Figure 2, there have been over 200 more cases than might have been expected with a more vigorous fight against FMD. "People are still transiting sheep illegally and there's strong anecdotal evidence to suggest that is the case. "Either to infect them so they can claim compensation, or simply to keep sheep they haven't previously declared one step ahead of the cull process. " Unscrupulous farmers preying on taxpayers and fellow farmers ? A rise to 8 confirmed cases - Phoenix mightn't be rising from the ashes, but the battle against FMD is clearly not progressing as well as it could be. News from MAFF on 11th May that some 30% of blood tests of confirmed cases proved negative, and only 18.4% of neighbour culls proved positive, will help those resisting culling and may well bring further setbacks. MAFF claims, however, that it is not conclusive evidence that the animals were not infected. Taking it as evidence to stop culling could bring further setbacks. Perhaps, MAFF's predictions were high because Ferguson assumed 24 hour culling after the confirmation of a case. But in fact, 3 km neighbour culling may have caused many herds to be culled very close to the time when they became capable of transmitting the disease. More aggressive culling reduces the epidemic's magnitude. If every herd was culled on the day it could spread infection, you would have an ideal logistic fit. The deviations we see above the logistic curve might be a measure that MAFF's policy changed in time and didn't quite get to this ideal logistic fit. It is another question altogether, though, to decide whether the cost of this level of aggression is warranted. Whether vaccination can approach the aggression needed for an ideal logistic fit is also another question. Both these decisions might change if the outbreak is not treated quickly and the numbers to be culled/vaccinated become large. The high number of confirmed cases for the last few days indicates the fight against FMD has lost it's sting. The logistic fit is weakening considerably (with the projected limit 1572 now exceeded by more than the standard error of estimate 21 -giving total 1593 v's actual of 1600). This may be an indicator that infected herds are not being discovered and culled quickly enough. A "false dawn" of 0 cases on 17th May has been followed by several days of high cases. The last two with 4 days each confirm that the outbreak is not being eliminated at a satisfactory rate. Perhaps a closer look at the geographic spread of recent cases might indicate whether the neighbour cull is losing its effect, or whether these cases are arising due to laxity in the transport/infection controls. With confirmed cases rising to 8 on 23rd, it's become clear that another outbreak has been unleashed, centered on North Yorkshire. MAFF had to send 25 vets into the area, some coming from as far afield as Australia (according to BBC reports). So who pulled the vets out too soon ? Farmers in the Settle (North Yorkshire) were feeling so abandoned that the Minister and an army General had to scurry into the area on 22nd May to show the locals hadn't been abandaned. But the statistics show very clearly there has been a failure to pursue FMD relentlessly - the lid wasn't nailed on the FMD coffin. It was let out again to wreak havoc around North Yorkshire, and a mini-remobilisation has been needed. Minister Brown was forced to deny allegations that MAFF had been manipulating FMD statistics to bolster the governments fortunes during the election campaign. Let's back incompetence ahead of conspiracy and continue to treat the statistics as correct. We have to then conclude the disease is not under competent control. Since 6th May, there has been an average of 4.1 cases per day, and there is no discernible decline. The number of cases is growing in a straight line (see Figure 11). FMD is not being controlled adequately. It would not take much denial based behaviour see a return to exponential or logistic growth rather than the decline so needed. There has been linear growth in total cases since around 4th May - approximately 8 days after the 26th April movement restriction relaxation. The growth appears to be occurring in "pockets" of North Yorkshire and Lancashire. A conjecture might be that multiple disconnected outbreaks sum up to such a linear growth. While MAFF is making defensive claims that these outbreaks came from long-dormant infections, it has also pointed the finger toward farmers movements. So shouldn't you ask: were the relaxation to movement restrictions too early ? There is also a evidence from Peter Alan that the Chief Vet's definition of "contiguous" is now also more relaxed. Too soon also, unless you like to think that the present rate of disease and culling is reasonable. At the present rate, MAFF and it's slaughtermen have got a job for life that's probably paying them better than their old job. Don't expect it to end until someone realises how dumb it is to let this continue. Thirteen new cases show growth is tending towards a renewed outbreak. It's time to look for evidence of a new logistic process - which appears to take-over from the initial outbreak from some time around 15th May. On the data from 15th May to 2nd June, however, the best fit is now a straight line, with 4.39 cases occurring per day on average. The only good news in this, is that it's not an exponential growth -Yet. The bad news is that it's equally clear that it's not a controlled logistic growth - there's no death rate, no asymptote = no end in sight. "Prime Minister Tony Blair has said that new clusters of foot-and-mouth disease had been "expected" by government scientists." Yet none of their previously published graphs predicts a resurgence like we are now witnessing. None predicted that there would be a straight line upward trend over any two week period. Probably would have been shot down in flames if they had. Any such prediction would have made arguments for vaccination look overwhelmingly good at this time. Blair's excuse that the "scientist expected" new clusters is very poor. This site did not make any such ridiculous suggestion that this was scientifically necessary or predictable. Such a resurgence should not have been expected and it's occurrence is a sign of failure. If the fight had really been unrelenting there'd be no more cases occurring by now. (see Figure 2 for 28th March prediction). The Ministry, together with the Army, are still engaged in a complex operation in many areas of the country, particularly in the Settle/Clitheroe area where there are a serious number of cases. It is likely to be some time before the outbreak is finally dealt with; a great deal of work still needs to be done on the ground and logistical planning to support this effort goes on, involving a wide range of services. Any planning that is being done is specifically to address the current situation and as a contigency for any new outbreaks. It does not indicate any plans for fundamental changes in the culling regime. Britons set off to re-elect Blair comforted by another low-case day - just 2 more cases. The only thing there should be doubt about is how long it will take for the unpalatable truth to emerge in the statistics. In the meantime, you can amuse yourself by trying Ian Clark and Adrian Smith's epidemic simulator to investigate how fairly complex behaviour can emerge from a relatively simple model of epidemics. With 5 parameters, it's more complex, of course, than the logistic model - but falls short of the Ferguson/Howard style of models which have over 9. Within days of the election passing, MAFF's counts have risen, to maintain the average at over 4 cases per day. Further relaxations in opening of footpaths etc.,. have occurred. No end is in sight. Media reports of worst case predictions suggest FMD could continue through to early next year. This was a response to worrying outbreaks in unexpected areas, which were relatively remote from previous infections. Experts warned these indicated FMD was going to have a "long tail". It would be a real step forward if the statistics showed any kind of tail - even a long one. Instead, the daily average cases since 8th May has been increasing from an average 4.3 cases per day up towards 4.8. No impression is being made on an apparently persistent level of infection. How long before it's right to say its become endemic, not eradicated ? The straight line fit from 15th May indicates a trend of 4.9 cases per day, even though the last few days has brought only 4 per day (see Figure 12 above) The logistic fit since 15th May is now producing an appreciably better fit (including a lower standard error of estimate). However, the logistic fit looks decidely poorer over the most recent week, and is obviously underestimating. A wishful thinker might take the better logistic fit as slight evidence of some attenuation in the outbreak. Or it might be someone still fiddling with the statistics. In particular, MAFF have advanced the daily "cut-off" time from 19:00 to 17:00 on 15th June. Although they promised to publish the equivalent 19:00 figures "side-by-side", this did not happen on the 15th. So why is the eradication going so much worse now ? The 1967 comparison paper makes much of the increased livestock movements that now occur, which led to FMD spreading more extensively this time. If that's the case, is the answer as simple as preventing such extensive livestock movement from occurring - i.e. turn the clock back to 1967 farming practices ? On 9th June, MAFF became part of a new department - with a new minister and a new name which lacked any reference to agriculture, viz Department of Environment, Food and Rural Affairs (DEFRA). The new minister, Margaret Beckett, swung into action on 14th June and has promised a culture of openness and cooperation ( see Beckett extends hand to farmers) . Will this be enough to allay the concerns of those who wonder why the word Agriculture has been dropped from the departments' title ? Can the new minister rectify the shortcomings, and make up for the ground lost between early May and now ? If secrecy and a lack of cooperation have been the problems, will the minister's words about openness and cooperation be enough to set things right ? Have the bureuacrats been trembling at the knees and lying awake at night after hearing the Minister's words ? Will we see any visible signs of a change in their secrecy - for example, can we expect to see more detailed and transparent statistics (e.g. daily suspected cases) published on DEPRA/MAFF's site ? Just one case on the 24th will have optimist's and wishful thinkers believing the down-turn indicated by the logistic fit from 15th May is happening. DEPRA is certainly behaving very optimistically, if not bravely. From 22 June, livestock from within Infected Areas will be permitted to move, under licence, for slaughter in abattoirs outside an Infected Area (but not in Provisionally Free Areas) for human consumption. Additionally, the Minister promised to open more pathways etc.,. - yet still went on to admit it's not all over yet. "She said it was hugely important that no one relaxed their guard" (see BBC report Further farm restrictions lifted ). But we all know actions speak louder than words. You might say don't relax your guard, but your actions of relaxing movement restrictions sends a stronger message. Why is everyone behaving like it's over, when there is scant evidence of any decrease in the outbreak ? The Minister has promised an inquiry - let's hope these latest relaxations are included in its scrutiny. The last three days have shown a fall in the daily cases. The last few points now lie almost half-way between the straight-line fit (from 15th May) and the logistic fit - see Figure 12. It's an encouraging decline. A day with no new cases hints that the end may be close. But it's only 8 days since the policy changes of 22nd June, and may be sensible to wait a few more days before believing this too strongly. There now seems to have been a decline in the daily case rate - perhaps now to 3 per day from the previous 4.8 per day. But the disease won't go away. On 4th July, DEFRA announced that a video would be sent to 90,000 farmers in England to reinforce the need for bio-security. Professor King said the measures were needed as many farmers had been relaxing their guard. King said "Biosecurity measures are being relaxed. If they had been observed, I have no doubt the disease would be at a much lower level by now". NFF president Ben Gill was reported as agreeing, but claimed a similar relaxation occurred in 1967. As the graphs in Figure 1 shows, if the 1967 performance were matched, there'd have been no new cases since 19th June; the relaxation is much worse in this outbreak, and it is at least 5 weeks behind the 1967 situation. It's good to see actions from DEFRA, but unfortunate to hear farmers leaders making misleading comparisons with 1967. Looking back at the evidence from Figure 1, it's clear that shortly after relaxation of the 3 km cull (26th April), the outbreak's control switched from a good logistic decline to this constant daily case rate mode. Doesn't that suggest something strongly:if you want to eliminate foot and mouth disease, reinstate the full pre-emptive 3 km cull. It's a real gamble waiting to see if other tricks, like video campaigns, will be as effective as the 3 km cull clearly was. Although the logistic fit from 15th May to 5th July looks good, from 5th July onwards the decline it indicates clearly is not achieved. Once again, the outbreak escalates. A linear fit from 5th July with 3.86 cases per day looks an excellent fit from 5th to 12th July (such a good fit that its hard to discern from the actual cases in Figure 12 above - so I plotted the line back before 5th July to help you see it). Curiously, DEPRA is claiming the weekly average case rate has been 3 for the last two weeks when in fact it's closer to 4 - just wish they could truncate the outbreak as well as they can truncate their stats, don't you ? A few days now with high cases and a frightening 10 cases for the 18th, have "raised" the straight line fits, That from 15th May is now 4.3 cases per day, and from 5th July is 3.8 cases per day. There's now been plenty of time to see the effect of the "video" campaign - it's been clearly ineffectual. Certainly looks never ending, doesn't it ? Farmers are getting "toey" about their inability to sell their "light lambs". Maybe they'll just have to get used to that - cause everybody's doing too little to eradicate this disease. Proposals for Lake District ban to be lifted from 1st August make it look like everyone's accepting that fighting the disease is too hard. The logistic fit from 5th May to 23rd July has an SEE of 9.12, compared to 9.4 for a straight-line best fit to the same data. It's pointless continuing with modelling the process as logisitic over this period of time. So now Figure 12 show the logistic fit truncated to 5th July - a point where there appears to be a clear breakpoint in the trend. Similarly, the straight line is broken into the second line (and now coloured red also) at 5th July. Unfortunately, from 5th July there is very clearly an unattenuated growth averaging 3.86 cases per day. This bumbling can only fuel the fires of those who'd argued in favour of vaccination; culling, as now practiced, is clearly producing no end. Lord Whitty, the new DEFRA minister, has announced reinforcements of the bio-security measures in the North Yorkshire area - in the face of the unabated progress of the disease and fears of the outbreak getting too close to very large pig herds in North Yorkshire. The alarm bell was ringing on these fears for over a week before DEFRA responded. The outbreak is still averaging 3.85 cases per day since 5th July. If you are looking for more information on the nature of FMD and issues debated during its course in the UK 2001 outbreak, Sarah Wroot's UKBA FMD FAQ is a well-researched compendium of information compiled by educated community activists from the uk.business.agriculture usenet group. It was published in June 2001, and hence post-dates some of the discussions above. Cases back to 4 today, after two low days of 1 and 2. The cull of hill flocks in the Brecon Beacons (Wales) has created some alarm, having been based on serological testing - much more of which is now under way. A long held fear that FMD has gotten loose in these flocks is looming larger. There appears to be suspicion that undetected FMD is at large in sheep flocks, and perhaps is providing a pool of infection that is continuing this outbreak. Serological testing and culling is seen as an evil necessary to mop up these infection sources. DEFRA has announced further intensification of the biosecurity measures around the Thirsk area of North Yorkshire. DEFRA's capacity to announce such changes appears unmatched by its ability to implement them, as farmers are still left uncertain as to how the measures announced a week ago are to be applied. DEFRA also announced (30th July) an immediate change to the valuation of culled livestock. Stock would now be valued individually, not at a flat rate as had applied since the early weeks of the outbreak. Raising again allegations made long ago in May, Nuala Preston, a Pembrokeshire, West Wales farmer, has claimed she was offered an infected sheep carcass for £2,000 - ( BBC news 30/7 ). This time, DEFRA and the Powys police are investigating (30/7/01). Each slaughtered sheep was fetching £90 - said to be well above their market value. Nobody has produced an epidemiological model that results in the obvious straight line trend we now see. One way you might get such a constant flow of cases is if there is an individual making a deliberate effort to infect farms, who can't get to more than 4 farms a day. Such an individual might also cause the kind of non-contiguous infection outbreaks now being seen (in areas not previously near infected sources). Nuala was horrified by the offer, and it really beggars belief that so many farmers could be party to such a crime. Fortunately, DEFRA has now changed to a model requiring valuation of the culled stock for each case, and perhaps this might bring some uncertainty and restraint to the process - if there is one. DEFRA has decided on further culls in the Brecon Beacons, and the NFU is ringing alarm bells. Not good news. As part of tough bio-security intensification in the Thirsk (North Yorkshire) region, all milk tanker deliveries or collections are to be accompanied by a DEFRA official to ensure cleansing and disinfection requirements are met in full from 1st August. Clearly, there are suspicions that milk tankers have been spreading the disease by failing to carry out disinfection properly. "The cost of FMD has been huge. The government has taken steps to control the spiralling costs and eliminate abuse of the massive support paid to contractors and farmers to fight this disease - by controlling C&D payments, abolishing the standard valuation card, changing the valuation regime, and reducing payments made under the LWDS to around 70% of market values. The total cost to taxpayers of the disease is likely to be over £2 billion. No other industry would receive that level of support where there was no direct threat to public health and where the problem had been compounded by existing trading practices. The Government is committed to eradicating this disease and we are committed to these costs. But we must change this system for the future. We need a new regulatory framework; we need modern industry practices; never again can the taxpayer be obliged to pay costs which in other industries would be absorbed by the industry and its insurers. "I am in the construction, not the demolition, business: we are here to build a sustainable industry for the future, not destroy it. "But there will be no straightforward return to any 'normality'. Sheep farming will have to change. - Sheep farming after Foot and Mouth: challenge and change, DEFRA 2nd August, was "http://www.defra.gov.uk/animalh/diseases/fmd/farmers/recovery/sheep_farming.asp"
Secondary cleansing and disinfection of farms resumed today, after a two-week halt caused by government concern that costs were far greater than expected and much higher than in other European countries. Mr Blair is a slow learner at economics. He was surprised to find that if he offered £1,100 for a cow worth £600 at market, and £90 for a ewe worth £30, farmers would take up his offer. If he offered to pay the farmer £1,000 a month to drive his own tractor cleaning his own farm, he would leap at it. Any housewife would do the same. Some unscrupulous farmers would go further. They would infect their flocks and join in the bonanza. Faced with such stupid government, FMD could spread like wildfire. It did. After three months of refusing to believe that farming is a business, Mr Blair has had enough. Before leaving for the FMD-endemic shores of South America he produced a familiar Blair initiative. He promised an army of new officials to go round trying to work out what every cullable animal is really “worth” before killing it. Extra auditors will examine invoices, dockets, pay stubs and reinforce existing red tape. By the autumn the countryside should have a new ancillary FMD workforce, over and above farmers, vets and contractors. Remarkably, within five days of introduction of individual valuations (30th July), we've got a zero-case day (preceded by a noticeable decline). The reaction is remarkable as it has appeared quicker than the usual 8 to 10 day incubating period that ought to produce a lag between a policy change and a reaction in confirmed cases. It begs the question whether, now that valuations are more uncertain, some farmers may be less inclined to report cases - or indeed hide them. Or maybe the fraudsters were "tipped-off" a few days before the 30th July announcement. Jenkins may be a little too cynical in thinking a new industry of FMD auditors is about to emerge. If it stops fraudsters in their tracks, and if such are the reason behind the straight line trends, it could bring a very swift end to FMD. "The majority of the livestock sector knows how important it is to keep up their guard at a time when the disease is confined to a few hot spots. "But I am determined that the minority who are flouting these important measures do not endanger the majority. "Our checks have revealed a considerable number of infringements. For the first few days we have just been pointing this out to farmers and drivers, but we now need to take a harder line.
" In future farmers and drivers who fail to comply with the biosecurity requirements are likely to be reported for prosecution. I am determined that within 30 days there will be no biosecurity failures within the area under patrol". Checks in North Yorkshire on 383 vehicles and 677 farms over 5 days found 43 vehicles (11%) and 46 (7%) farms failing compliance with bio-security measures. The slope of the trend line from 5th July is now giving an average of 3.6 cases per day. Last few days has produced a few cases around Powys. Hope it's not the start of something. A couple of zero days produces some attenuation in the trend of daily cases. Figure 12 shows the last week falling noticeably below the linear trend (hence the last line is terminated at 8th August). Indeed, the cases since 8th August are beginning to look like a logistic decline. Although the zero days are too few, there is some good news emerging. Fitting a straight line to the data from 8th August gives a very similar result to fitting a straight line from 1st August - with a daily case rate of 2.34 (see updated Figure 12 above). This is half the pre July 5th line, and two-thirds the rate before 1st August. It clear there has been an big improvement in the control since the 30th July announcement of changed valuation policies. An explanation for the change around 5th July is harder. This had been preceded by some relaxation in movement controls, and was introduction of the video education campaign. Were too restrictive movement controls causing farmers to flout them in an uncontrolled way that promoted infection more readily than the relaxed controls ? Worth thinking about. Epidemiologist Dr Neil Ferguson, of Imperial College, London, whose earlier modelling was promoted and relied on by MAFF told BBC Radio 4's Today programme (19th August) that predictions the epidemic would be over by October were meaningless if security measures were not imposed more vigorously. Foot-and-mouth disease has continued longer than expected because strict movement restrictions and hygiene rules have been breached, according to experts reported by the BBC. "Unfortunately, what happened in May was that, for natural reasons, restrictions had to be lifted in areas where the infection had not yet been detected, particularly in North Yorkshire and Lancashire," he said. "Unfortunately, infection had reached those areas. That caused the infection to re-establish itself." He said new infections had been effectively suppressed by culling but the relaxation of security measures meant new outbreaks were continuing. Ferguson does not explain what the "natural reasons" for lifting the restrictions and relaxing the cull policy were at the end of April. Was it because Ferguson's model predicted a lesser decline would still extinguish the epidemic (the self-fulfilling prophecy argument put here 3rd May ?). If so, what is so natural about being over-confident and wrong ? Of course, few people find admission of errors very natural - is that what was natural about it ? Or was it like the patient who fails to complete courses of anti-biotic or other medical treatment because they start feeling well before the infection is eradicated - and then relapse ; was it like that natural naivety ? Was the decision to relax based on misguided interpretations of modelling from Ferguson, or was it simply a political decision made for expediency ? Ferguson raised no objections at the time, and to now dress it up as "natural reasons" suggests an unwillingness to admit to a mistake and do better next time. Let's hope the official inquiries take some time to consider just what role scientific advice and naive overconfidence played in this decision, and what can be learned from it for the future. The trend continues at 2.4 cases per day since 1st August, in spite of two zero days. These were followed by a 5 day - 3 of which were in Northumberland. One Northumberland case was well outside the blue box area established around earlier Northumberland cases. Serious enough to see DEFRA calling in Army assistance, suggesting to many that DEFRA is now expecting much worse to come. Or is it just that a month of an unchanged trend has forced DEFRA to respond with some stronger action ? Sterner action is clearly warranted whilever the average daily case rate trends along at a constant rate. Trend continues at 2.4 cases per day since 1st August, but there's a hint of a decline in the last few days. Perhaps the army assistance is beginning to take effect. Professor David King said "one or two" similar clusters were likely as farmers fight the tail of the disease in the UK. King seems intent on making excuses or self-fulfilling prophecies for the failure to eradicate FMD quickly. Curiously, he went on to make excuses for failing to use vaccination - blaming farmers for not accepting suggestions he made for implementing vaccination as a supplement to culling in Cumbria. But farmers say vaccinated animals can still carry the virus and pass it on, without showing any symptoms - so jabs could worsen the outbreak in the long run. Of course, what England needs is action, not excuses, and certainly no more self-fulfilling prophecies. Is King the man who's going to deliver this ? From 8th September, the straight line trend has fallen to 1.17 per day. Remarkably close to my conjecture of 31st August. This suggests that bringing in the Army has been effective at halving the daily case rate. What does DEFRA have to do to halve it again, and why is it waiting til next month before doing it ? The debate on Vaccination has rolled on over the last week. The challenge for farmers and DEFRA who don't think vaccination is a solution is to think of something better, and do it quickly. Once-a-month policy wins aren't eradicating FMD quickly enough. Nothing appears to be happening to nail the lid on the fmd coffin. Comparison with the 1967 tail shows no grounds for confidence or complacency that the end is nigh. Figure 14 - The End Phase ? Remarkably, by the 6th October, there had been a strong run of zero-case days - suggesting that the outbreak may well be at an end. The tailing off now evident in the daily case rate, see Figure 14 above, suggests a near logistic decline has finally emerged. Figure 14 shows a logistic fit to the data from 7th July; actual stats over the last few days look better than the logistic would predict. On the 5th of October, BBC news reported that two detailed scientific assessments (published in the leading scientific journals Nature and Science) had concluded that a more aggressive culling policy should have been followed earlier in the outbreak. Roy Anderson (Imperial College) and colleague Neil Ferguson report that resistance from MAFF and vets prevented this being achieved. Ferguson claimed that "had the policy been implemented from April, we believe case numbers would have been reduced by 20%". At least a million fewer animals would have been slaughtered. In response to these reports, Prof King, the chief scientific adviser, tried to claim the epidemic was under control by the end of April. The facts (as per graphs above) disagree ! Nevertheless King conceded complacency by vets, farmers, and the public, had prolonged the outbreak. It seems it was everbody's fault except MAFF's or his ! 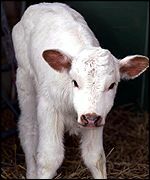 The BBC also reported studies by Dr Matt Keeling (Cambridge) that early adoption of vaccinatin in combination with culling may have reduced slaughter numbers by 20%, but that late adoption (early May) would have made only 1 or 2% diffference. These retrospective studies show the need to make good decisions early, and to follow them through with effective implementation. It was evident to this site's author that control was not effective by the end of April. Why did it take so long for the scientists to start shouting that the emperor's had no clothes ? No doubt we will learn more of this as the wisdom of hindsight catches up with the slow learners. No cases since 30th September. That's a pretty good sign that at last it's over. "All the statistical analysis, the surveys, the expenditure forecasting, the projected growth of demand - these did not lead to the choice at all: they were initiated and selected in order to bolster it up afterwards"
in "Householder's Guide to Community Defence Against Bureaucratic Aggression"
> and I am not joking. recorded version - was AVAILABLE FOR FREE DOWNLOAD - http://www.mp3.com/CharlottePetersRock - maybe gone now. Press reports indicate MAFF called for immediate assistance from the army on 13th March. By 15th, the government announced a "slaughter on suspicion policy" and the army was providing logistical support. The government took pains to explain the Army was not involved in the slaughter - just disposal (20th March). By 28th March, consideration was being given to contingency plans to have the Army assist with the slaughter. In 1967 the armed forces were called in after 12 days. This time contacts were established between MAFF and the MOD on the day the outbreak was detected, and close contact was maintained between officials to ensure that possible armed forces contributions were identified and explored. Since 1967 the size of the Royal Army Veterinary Service has reduced significantly. The military vets who could be made available were deployed on 12 March. By then it had also been agreed that military marksmen would be deployed for rapid culling of pigs in open fields, an essential contingency in view of the particular virulence of the disease in these animals. Army logistic experts were deployed to MAFF headquarters on 15 March. Logistic teams were deployed to MAFF regional headquarters early the following week"
So MAFF spend 20 days talking to the army before deciding they needed its help. Why don't they describe how quickly army people were deployed in 1967, so that readers know they're comparing apples with apples ? And note the confusion between MAFF's agreement that the army would be involved in slaughter, and government press releases to the contrary. Use your browser's back button to return to previous place above. Could you be sure that vaccination was managed any more effectively than the culling campaigns ? Then what about the often-cited worries about getting from the vaccinated control state to the disease-free state needed to resume exports, and farmer's concerns of consumer resistance to FMD affected products. See the National Farmer's Union (link ref was "http://www.nfu.org.uk/pr/4018095/pr1704.htm", gone by Mar 2004) 17th April press release for a summary of the doubts over vaccination. For a detailed rebuttal of the NFU concerns, see the uk.business.agriculture usenet archive, looking for post from: Chris Salter, subject: "Re: NFU's 50 questions and Maff's answers", Date: Wed, 18 Apr 2001 11:25:59 +0100. (make your own mind up whether you believe they are Maff's answers). By 18th April, BBC News reported that the Prime Minister Tony Blair had thrown his weight behind a limited vaccination program - even recognising that the cull would have to continue. The NFU and many of its members remained unconvinced about vaccination, and supportive of the cull policy. No vaccination campaign ensued. As the "tail" persisted with new outbreaks in North Yorkshire and Northumberland in late August, calls for vaccination were renewed. However, FMD vaccines are not long-lasting (needing renewal every 6 months), and farmers and officials remain unconvinced that vaccination is a better option. If it is true that farmers have been careless about FMD disinfection etc.,., or worse have deliberately spread the disease, it really does bear thinking about how you would implement a comprehensive vaccination program. Perhaps some of the failures of the culling program, and particularly the failures in disinfection, can be attributed to farmers taking short-cuts to gain a competitive or cost advantage. Our highly competitive market world provides strong rewards for this, and little to reward cooperative action. There is a great temptation to free-load on the good efforts of others. So perhaps some farmers would fail to vaccinate effectively in the hope that sufficient others have done so and they will have no need for it. This would frustrate eradication of FMD as surely as the flouting of disinfection and movement restrictions have done. Use your browser's back button to return your previous place above. The second author, CA Donnelly, appears as the second author of the [FERG120401] paper also. [FERG120401] - "The Foot-and-Mouth Epidemic in Great Britain: Pattern of Spread and Impact of Interventions", Neil Ferguson, Christl Donnelly, Roy Anderson. Department of Infectious Disease Epidemiology, Imperial College School of Medicine, St Mary's Campus, Norfolk Place, London W2 1PG, UK. . Published 12 April 2001 by Sciencexpress www.scienceexpress.org (get a copy at cost $5 US, or try your library). Comments on the paper can be found in the usenet archives of the uk.business.agriculture usenet group, search for subject "Re: Headlines about the Cull" or references to Ferguson in the body (try starting at http://groups.google.com/groups?hl=en&lr=&safe=off&group=uk.business.agriculture ). [KINGS010382] - "The Refractory Model: The Logistic Curve and the History of Population Ecology", S Kingsland, The Quarterly Review of Biology, Vol 57, P 29-52, March 1982. You are visitor since 21st Feb 2004.